Aya Cash as Gretchen. Photo by Byron Cohen/FX. FX Networks recently announced the return of its fifth and final season of the critically acclaimed comedy You’re the Worst, which will begin airing in January of 2019 on FXX. The series, which stars Chris Geere, Aya Cash, Desmin Borges and Kether Donohue, explores the light and darks sides of love, friendship and everything else in between. Actress Aya Cash talked to StayFamous.Net when her character Gretchen first began struggling with clinical depression, a serious mental health topic that many other comedies avoid discussing in such a raw and powerful way. 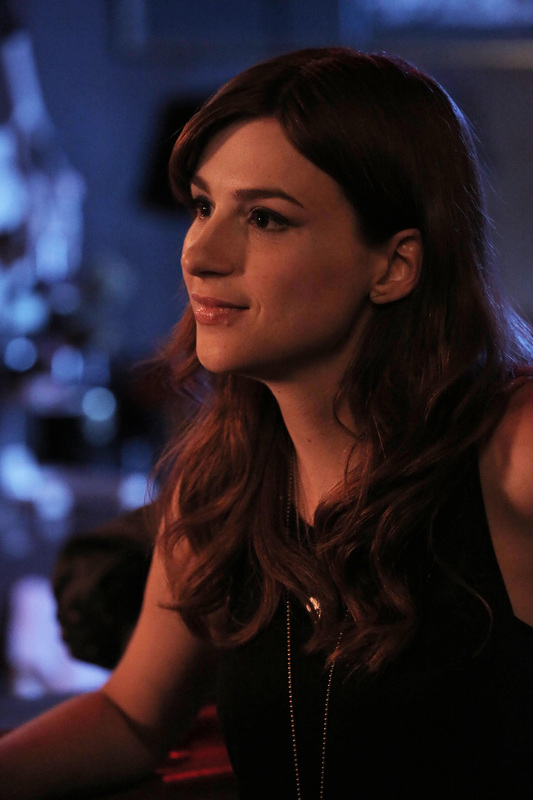 Aya Cash stars as Gretchen Cutler in “You’re the Worst.” Photo by Autumn De Wilde/FX. As a publicist in the music business, Gretchen is “cynical, stubborn, and fundamentally dishonest,” at least that’s how the network lovingly describes her in its promotional materials. But Gretchen’s complexity on screen is also a derivitive of the skilled writing of creator and showrunner Stephen Falk, who has penned a flawed, three-dimensional character that is at times both likeable and unlikable in equal measure. In a particularly moving scene from Season 2, Gretchen is lying down on the living room floor and Jimmy tries to get her to communicate with him. When he realizes the seriousness of her depression and its cripling side effects, instead of forcing her to talk to him or leaving her alone, he instead stays to show his support. Aya Cash as Gretchen and Chris Geere as Jimmy in “You’re the Worst.” Photo by Byron Cohen/FX. It was in this “you stayed” scene, that the writers went beyond entertainment, achieving a teachable moment by raising the audience’s awareness about a topic within the limited constructs of an anti-romcom. By showing one character struggling with a serious mental health issue that another character may not fully understand, they strengthen the bond between the two fictional characters, while allowing the audience to witness the ways in which clinical depression can deeply affect a relationship. Aya Cash. Photo by Byron Cohen/FX. Now that the show is about to begin its final season on television and it is time for Aya Cash to bid farewell to her role, it is clear that she admired a lot about her costars, even from early on in the production. 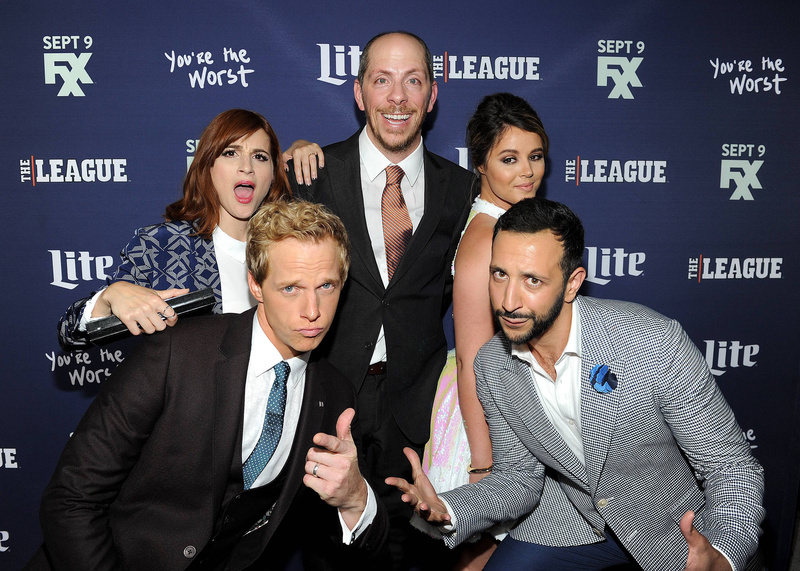 Chris Geere, Aya Cash, Kether Donohue, Desmin Borges, and Creator/Executive Producer Stephen Falk arrive at the red carpet premiere of FXX’s ‘The League’ and ‘You’re the Worst’ at the Bruin Theatre on September 8, 2015 in Los Angeles, California. Photo by Frank Micelotta/FX. When we last left the unrefined gang of misfits, Gretchen and Jimmy were engaged with the chance of actually having a wedding of their own, returning the show full circle to where it all began. But things might not go as smoothly as planned. Earlier this summer Aya was injured in real life during a stunt on set involving a car, and the actress may have been wearing a wedding dress at the time of the accident. Perhaps The New Republic said it best when they wrote, “You’re the Worst is the best show that we have about depression, but it also may end up being the most depressing. We all want a happy ending, but right now, neither Gretchen nor Jimmy look to be heading for one.” Whether it ends in marriage or disaster, one thing is for sure – there’s no telling who will be the worst, but what a ride it will be. The final season of You’re the Worst premieres January 9 on FXX. You can follow Aya Cash on Instagram @maybeayacash. You can also like StayFamous.Net on Facebook and follow @StayFamous on Twitter and Instagram (@StayFamousOfficial) for the latest entertainment news, celebrity interviews and much more! Note to Readers: According to the Mayo Clinic, clinical depression (a more serious form of depression) is “a mental health disorder characterized by persistently depressed mood or loss of interest in activities, causing significant impairment in daily life.” If you or someone you know struggles with depression, visit the Anxiety and Depression Association of America at www.adaa.org for helpful resources, guidance and information. As one of the top entertainment news magazines in Hollywood, Stay Famous is visited by some of the industry’s biggest stars. Founded in 2007, the site has been quoted on movie posters, DVD covers, and celebrity press kits in both the United States and Great Britain. From exclusive celebrity interviews and photography to film festival and movie premiere coverage, backstage access to concerts, album reviews and more, Stay Famous continues to provide readers with exciting, original stories you can’t find anywhere else. We are now on Instagram at StayFamousOfficial!